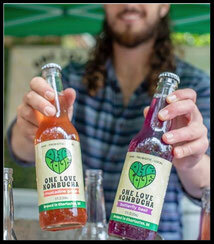 At One Love Kombucha we are committed to crafting the highest quality kombucha. We source ingredients from South Carolina farms and honor traditional brewing techniques to ensure our kombucha is low in sugar and full of beneficial probiotics. Our love of fermentation began over 10 years ago when our founder, Jonathan Cox, began his search for gut-healing foods and beverages to help manage an autoimmune condition. Over time it became evident that fermented foods played an important role in the reclaiming of his health. 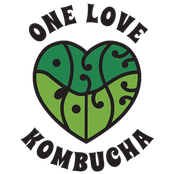 We hope to share this love with you, your family, and friends through our kombucha – and are ever grateful for your support!